There are times a book comes in your life that makes you sit back, and go woah…this book did that for me. I loved this book from the very back cover to the very last page…… I was intrigued enough by the back cover, and what was sent by the publisher about this book. I picked it up and was not able to put it down from the first time I started it. Each chapter is more and more…more insights into women who are “iron butterflies”, and things told by these magnificent women put together in a way you can understand. 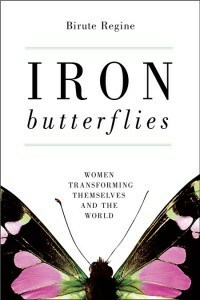 If you are wanting to learn HOW to be an iron butterfly, read the book… if you are wanting to see if you are an “iron butterfly” read the book… Even if you are, you will learn something from even one of these women. Reading this book made me see that we women need to come together when things are not going the right way… Personally, I am dealing with Paternity Fraud, and am standing alone where that is concerned. If I had other women who stood right by my side while I was talking about the money, and the second families that are affected, more second families might come forward…but when you talk alone, you are standing alone. This book talks about a lot of different topics, all that are helpful to women, and that are good for women to deal with. I am so glad that FINALLY someone has wrote a book about the topics we women hold dear to our hearts…and can help us with things we can’t do ourselves. Things like letting go of the anger, forgiveness…and dealing with things you would rather not…are just a few things you will learn about in this book… Another must read, for anyone who wants to better themselves. Lynda is the owner of Memories in Tyme and an avid book reader! She is a mom of 3 wonderful children, and married to the best husband in the world, Del! She loves to create scrapbooks, cards, and gifts out of paper, play on the internet, and is in school for Multimedia Design and Development!